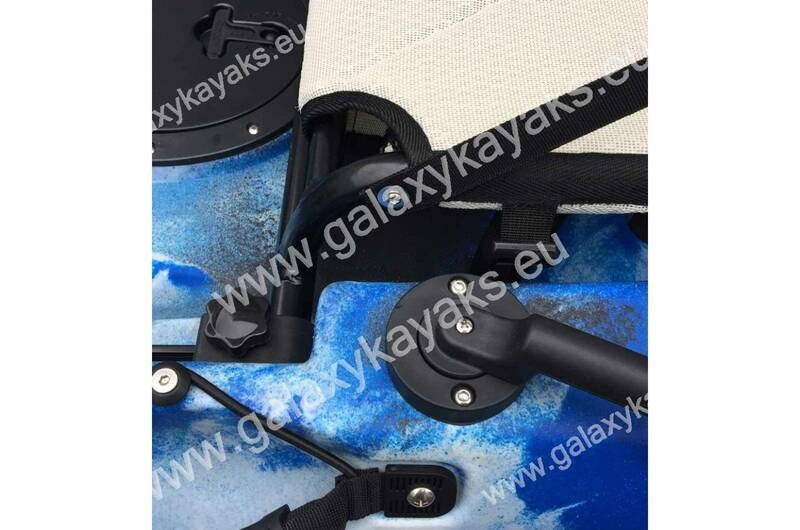 The latest in motor-kayak design from Galaxy Kayaks now also has the option to use our soon-to-be-released pedal system (due Spring/Summer of 2018 - sold separately)! 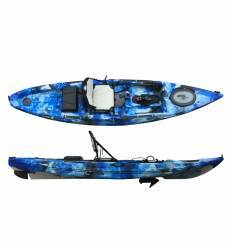 If you’re a Kayaker, Kayak Fisherman or simply someone that wants to cover large distances without the distraction and effort of using a paddle, then it is time to consider using the Wahoo S Series. 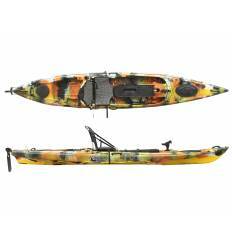 The new Wahoo S Series comes with many improvements to its predecessor and has been redesigned to be a fully functioning hybrid motor and pedal kayak. 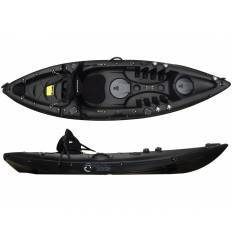 The first notable change is the redesigned rocker which lifts the nose and makes this kayak even more sea-worthy. 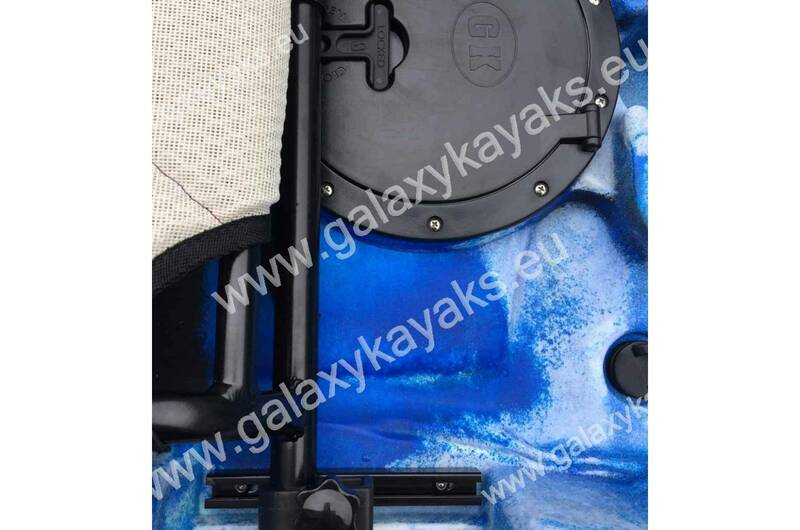 Another new feature is the addition of a hand rudder control system. 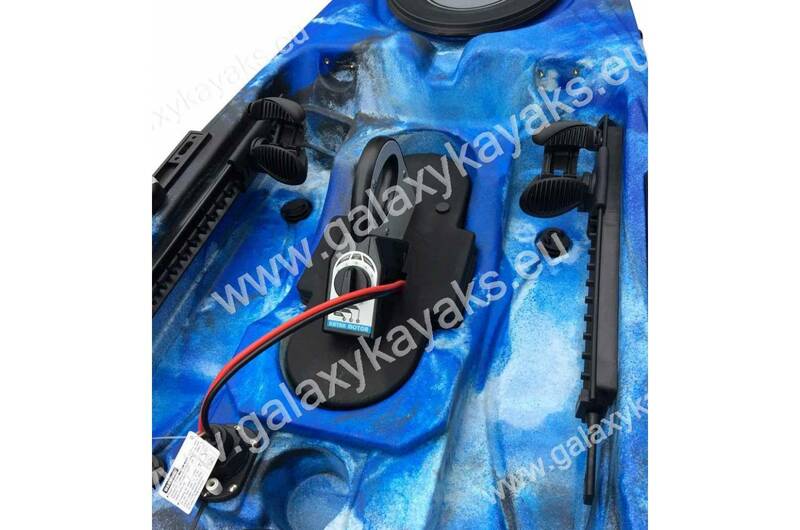 This allows more functionality for those who want to make the most out of our new pedal drive system. 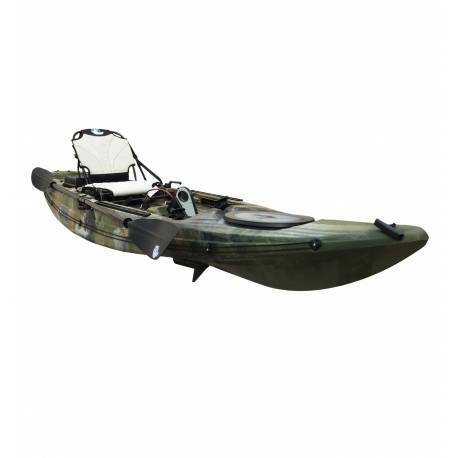 The hand rudder offers an easy control system that also helps maximise onboard cockpit space (more room for your stand-up fishing sessions). 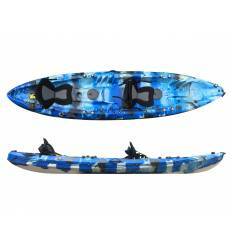 But don’t fret, for those of you who liked using the foot steering, we’ve left the foot pedals for anyone that so desires. 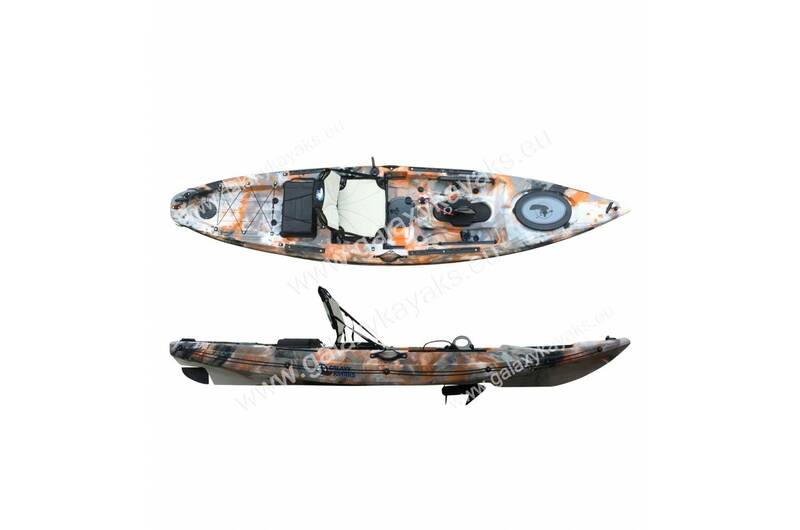 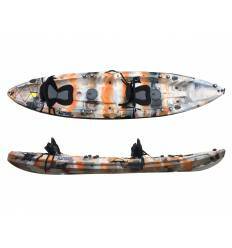 Versatility and customisation is what this kayak is all about. This wide and spacious kayak comes with an elevated Vista Chair that gives maximum comfort and great visibility as you glide along the water. 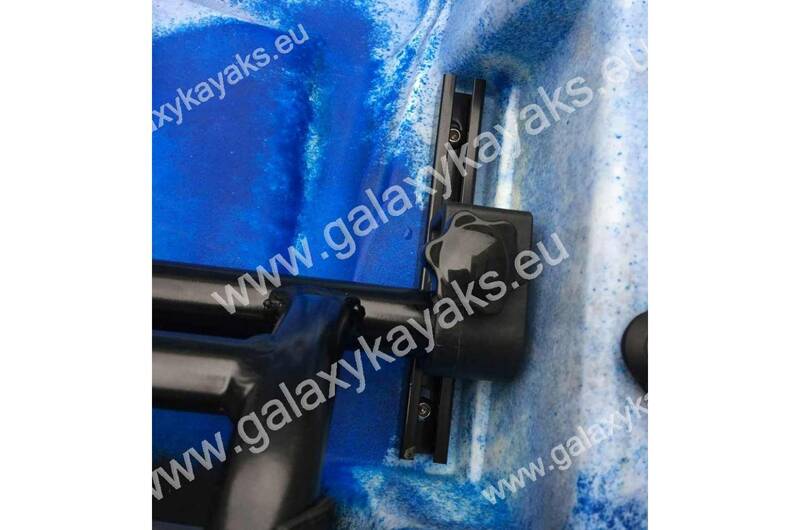 Another new feature is that the chair has been placed on rails which allows for adjustable positioning when using the new pedal drive system. 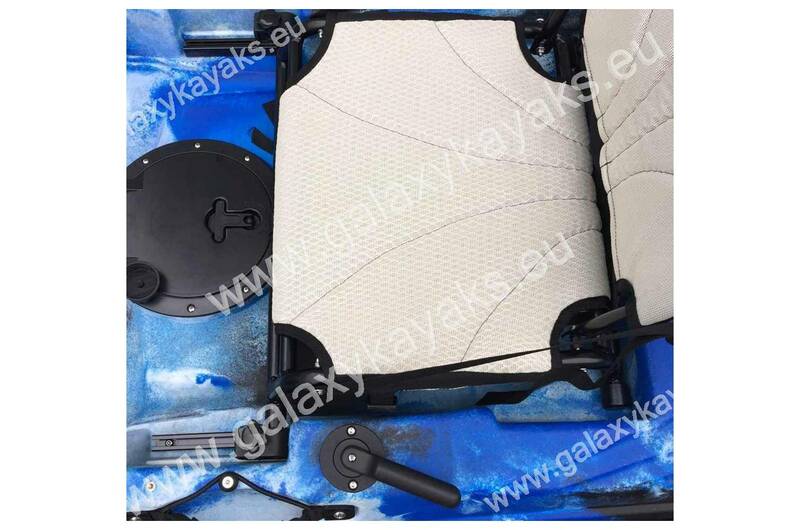 And of course the chair has been designed with maximum stability in mind so that you can sit comfortably above the water and avoid getting wet. 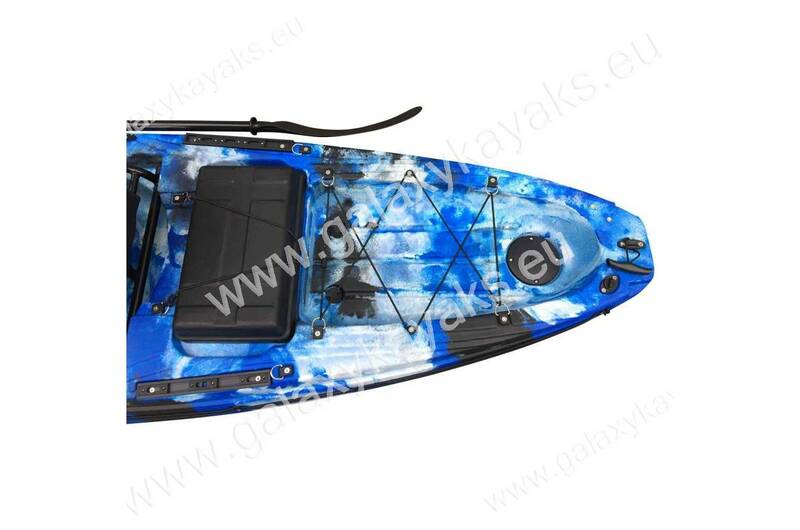 The Wahoo S Series kayak is the first hybrid specialised motor and pedal kayak by Galaxy Kayaks. This fishing kayak was developed using feedback from countless customers across our many countries as well as our experienced Pro-Team who wanted an electric motor and pedal kayak specifically designed for fishing. 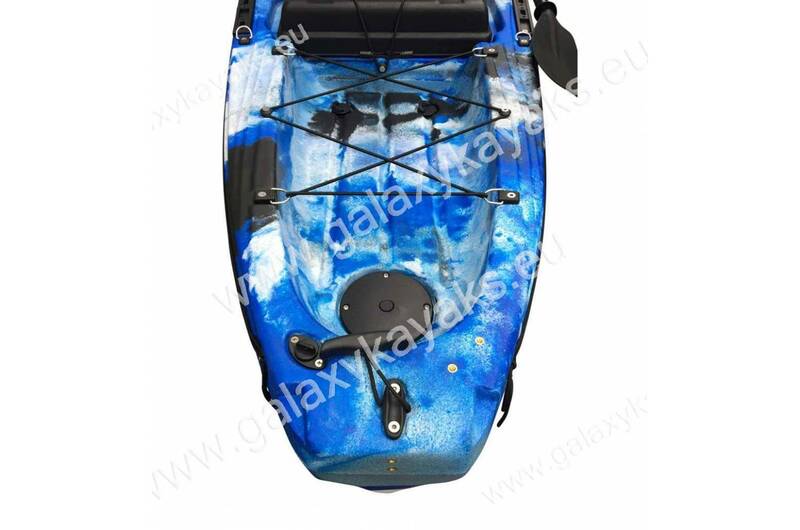 Unlike our other models that allow you to attach an external motor, the Galaxy Wahoo S incorporates the motor or pedal system into a dedicated compartment that sits neatly in the centre of the kayak. 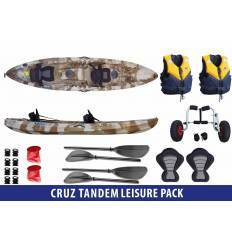 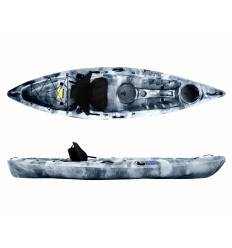 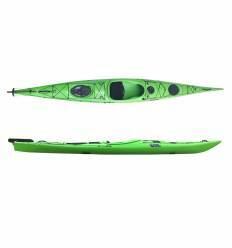 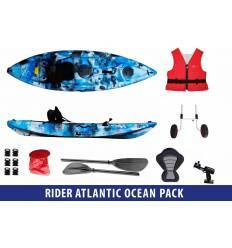 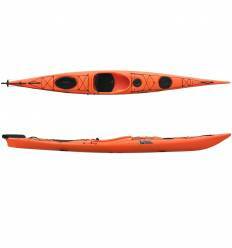 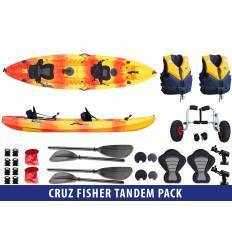 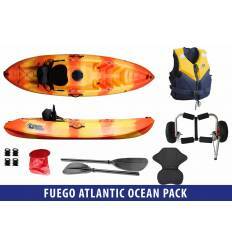 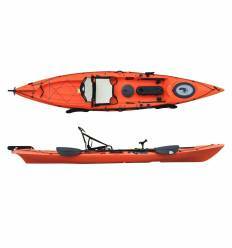 All these specifications were added while maintaining a compact enough boat that can still be used as a traditional paddling kayak. 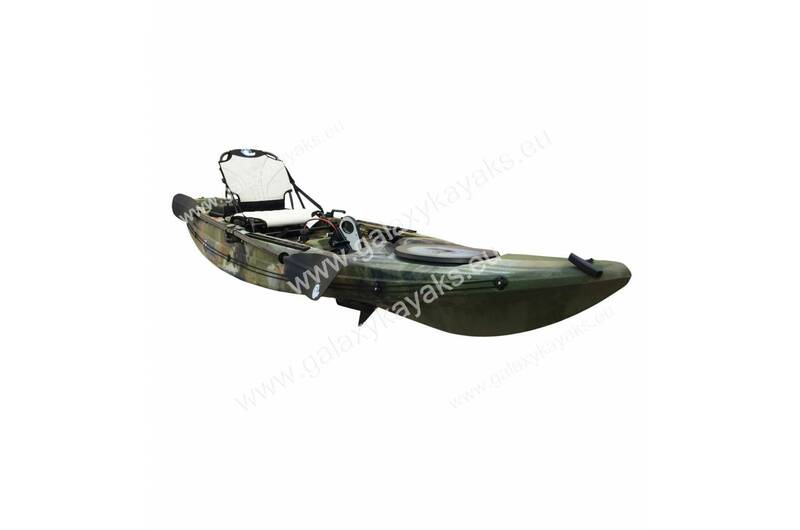 Travelling long distances paddling a sit-on-top kayak requires serious energy and stamina. 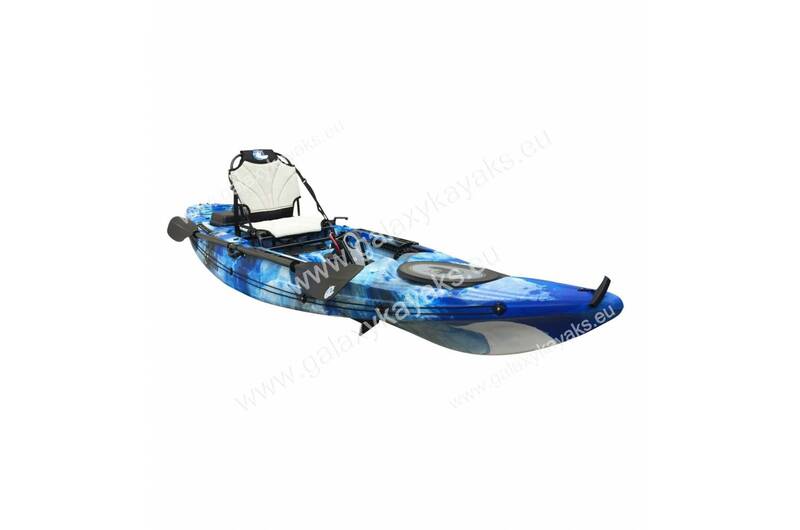 At Galaxy Kayaks we offer top of the range kayaks that are capable of covering such distance with ease. 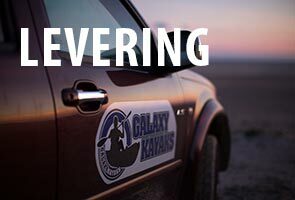 However we also know this is not a reality for everyone at all times; sometimes we just want to be able to get far fast with minimal effort. 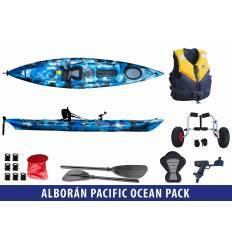 Using the Wahoo S Series with the electric motor will allow you to travel long distances the likes of which a strong and fit paddler would struggle to cover. And certainly not with as much ease as with using this motor kayak. 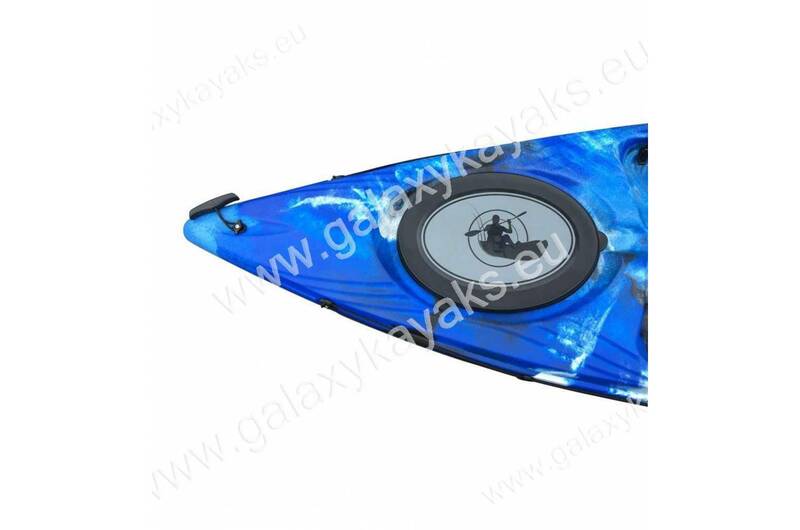 But if you’d prefer to get some exercise and still remain hands free, our new pedal drive system will have you covered! 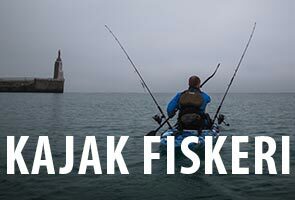 Are you a Kayak Fisherman that loves trolling? 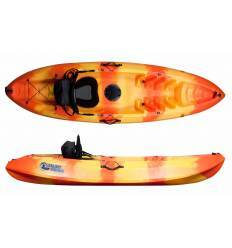 If so, the Wahoo S Series is a wise choice. 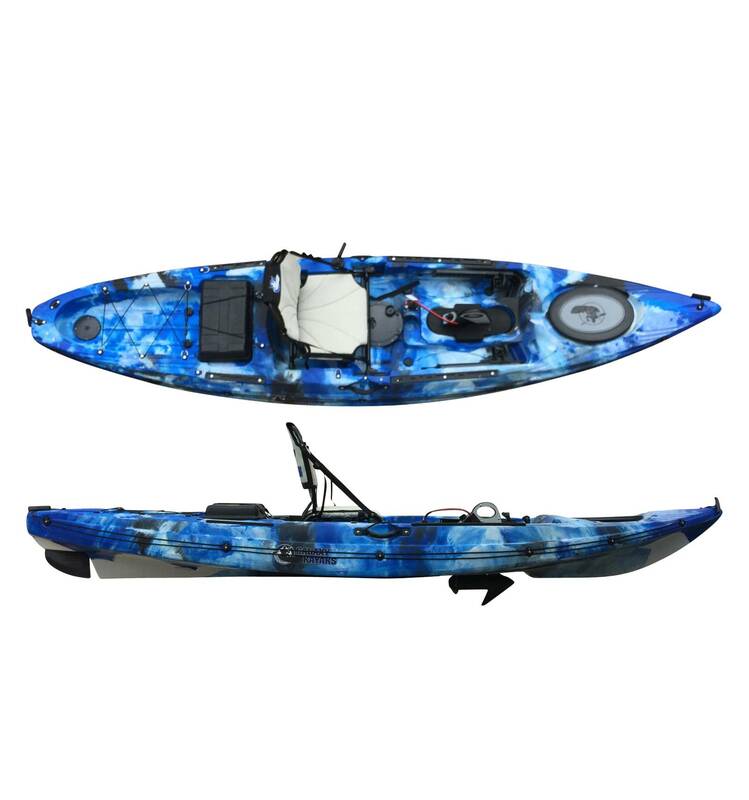 By choosing one of the five forward speeds and two reverse speeds available on the Wahoo S Series you can rest assured you can travel at a steady pace and save your energy for what is about to come - that prize catch. 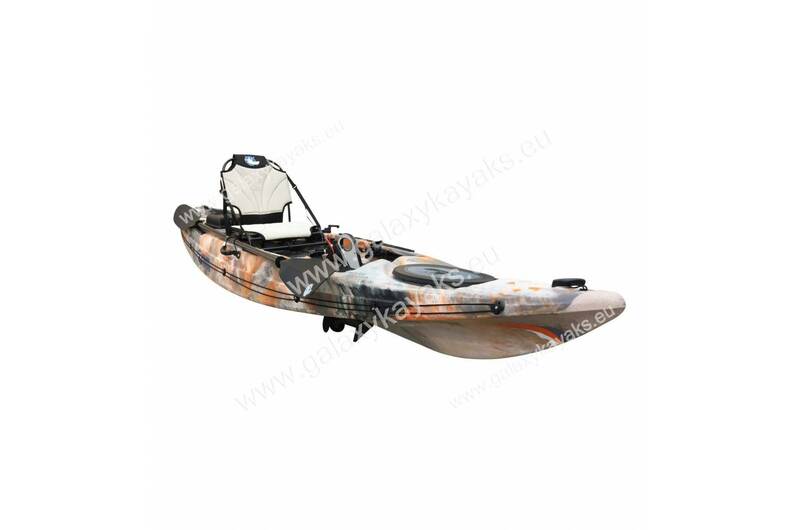 This is ideal for trolling as we maintain a steady speed and remove any distractions from our hands. 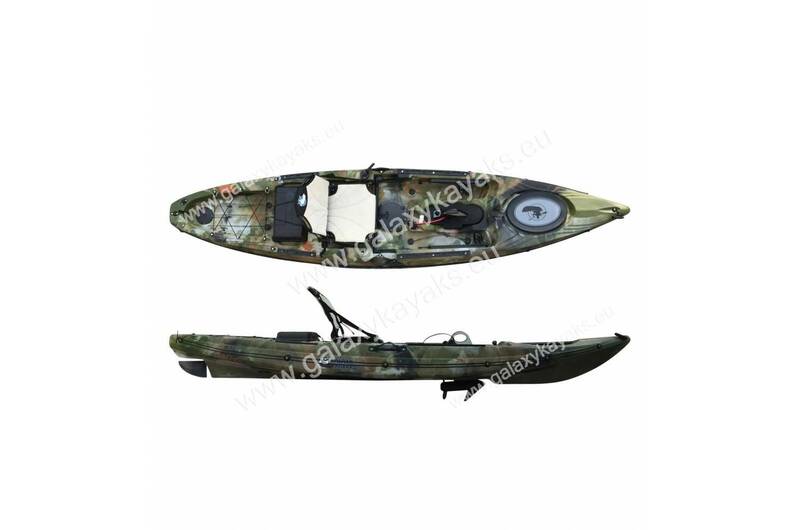 Since using the Wahoo S Series kayak we have discovered a new way of kayak fishing that serves a real purpose. 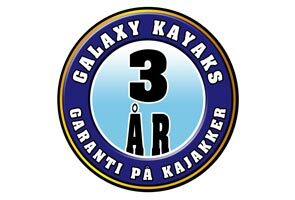 It may not be the most traditional form of kayaking but many people who may not usually be able to enjoy everything that comes with kayaking and kayak fishing now also have a chance to get involved in the experience. 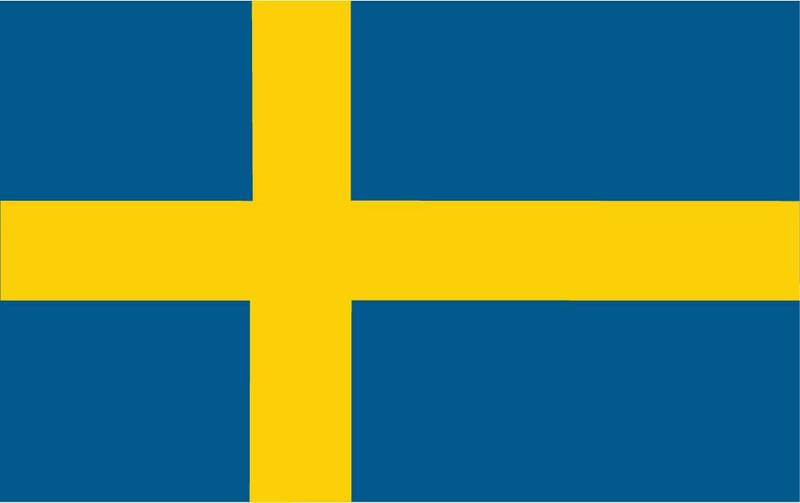 And nothing makes us happier than introducing new people to the sport we love! 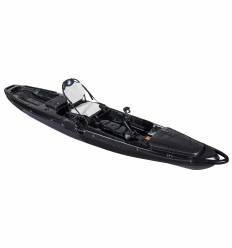 Unlike other kayaks, the Wahoo S Series has a central dedicated enclosure that supports both an electric motor and pedal drive system. 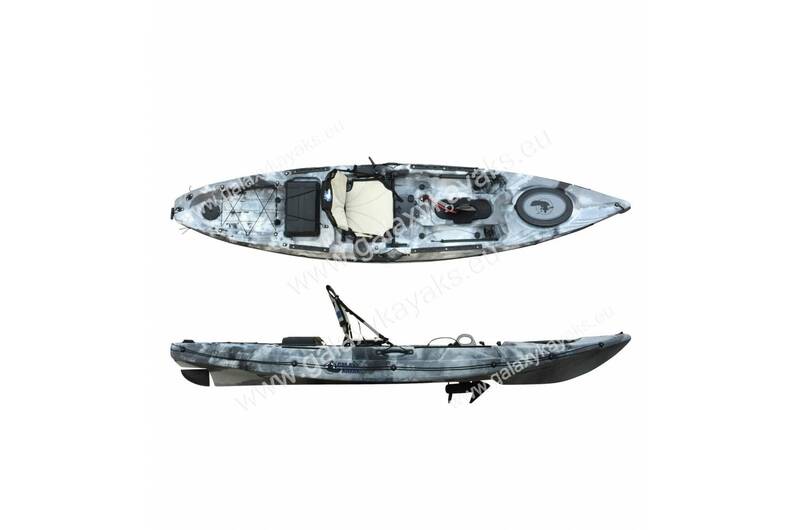 Having the motor in a central position improves the speed, handling and thrust as it sits directly beneath the kayak. 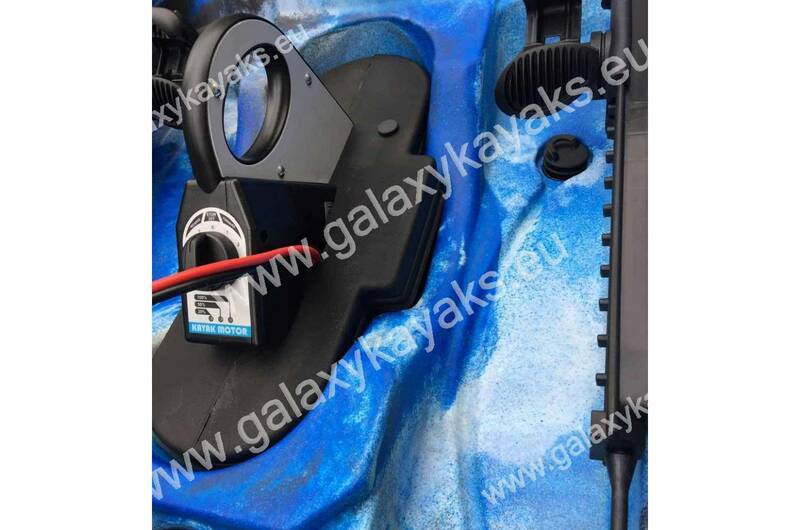 Having a central motor also helps protect it from damage as you can quickly lift it up and out of harm’s way. 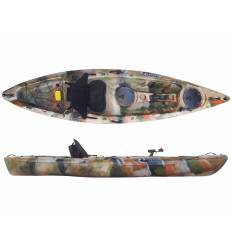 It allows you to keep a close eye on the propeller and easily dislodge any tangled weeds or rope that might get caught up in it. 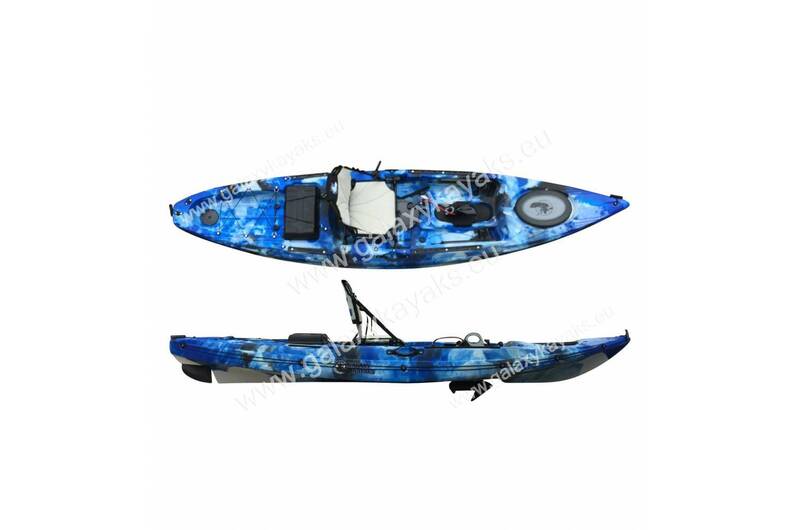 Having a quick-release mechanism is critical as the motor is the most expensive part of your kayak and you want to protect it as much as possible. 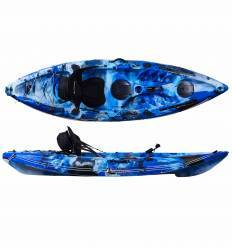 The Wahoo S Series kayak measures 357cm long by 84cm wide which makes it very stable and also features our new sharp rocker which allows the kayak to easily cut through water. 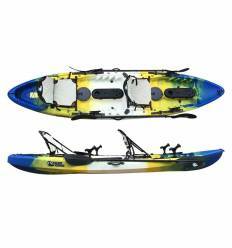 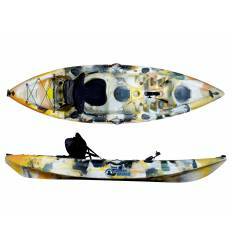 This kayak comes geared up for some serious fishing with four sets of rails, two in the front and two in the rear, for the addition of up to 14 Railblaza Starports. 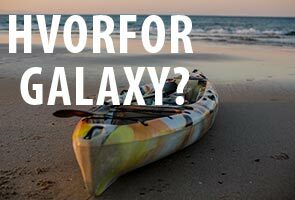 If you want more reasons to trust Galaxy Kayaks please read Why Choose Galaxy Kayaks? 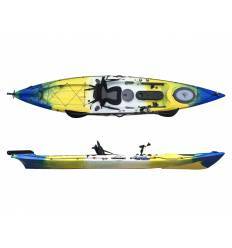 1 Propel 44 electric motor: this purpose built electric motor has 5 forward and two reverse speeds. 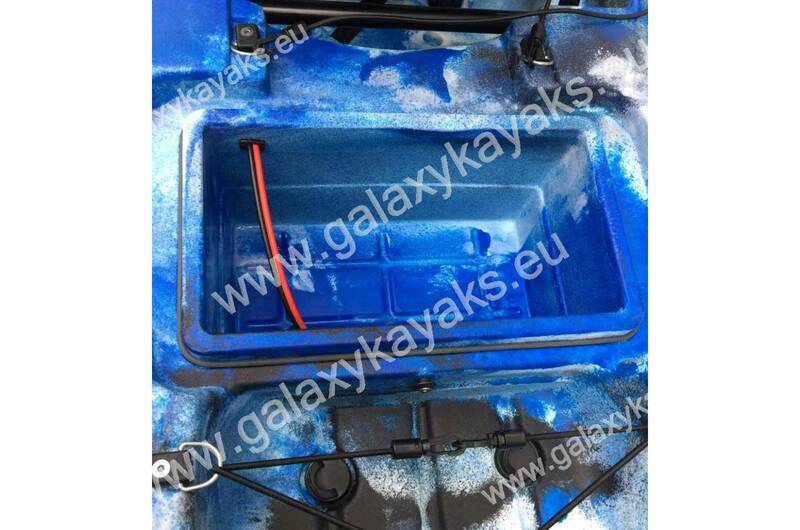 This new version comes with a dedicated housing unit that fits perfectly into the central hatch. 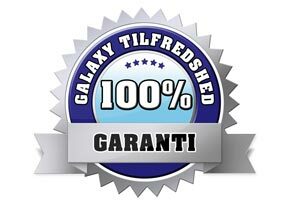 This results in less vibrations and noise which improves user experience.